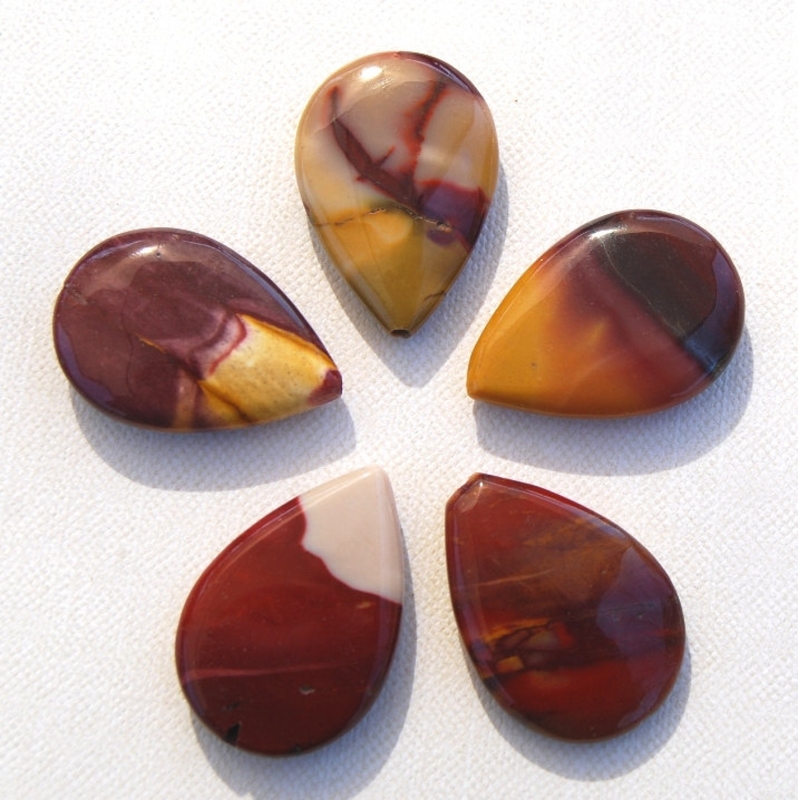 The rich earthy colors of mookaite in a large teardrop focal bead: brown, rich rust, mustard yellow, cream. Approximately 30x20x6mm. Hole is 1mm, center drilled lengthwise. 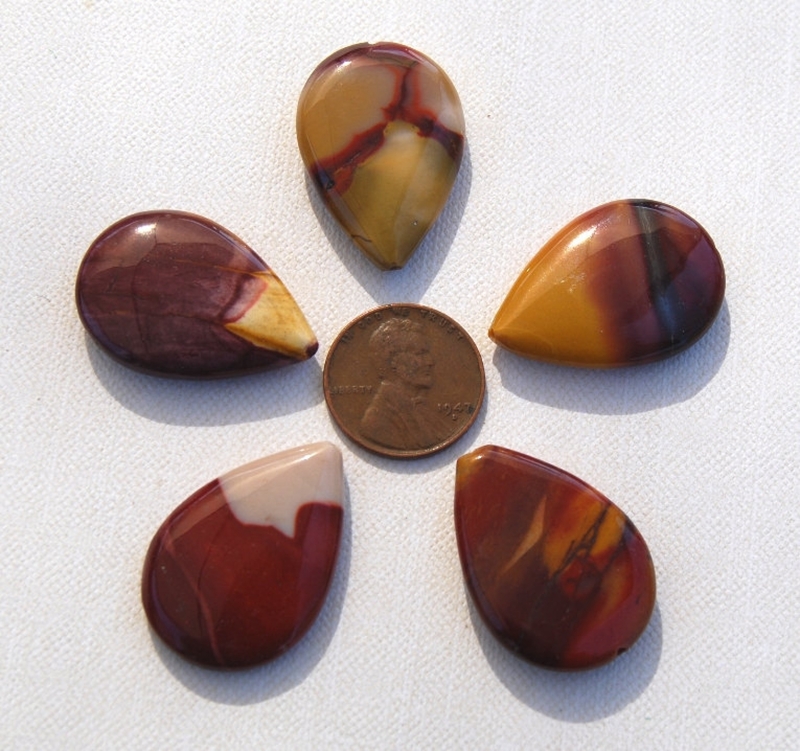 You will receive one (1) of the stones pictured, loose (not strung) and selected at random. I am happy to try to accommodate you if a particular stone intrigues you. Just ask and I'll let you know if it's still available. Please check over the photos carefully and allow for the natural variations in markings, surface, and shape present in these stones. Please allow for variations in the way computer screens display color.